"BuildingLink.com, the leading web-based property operations software for luxury residential buildings, announces the beta release of Aware-FC™, its smart-sensor solution for private fitness centers located in residential buildings. Aware-FC™ is the first offering in the company’s “Aware” line of IoT sensor-related solutions planned for BuildingLink subscribers. The company is currently testing their “Aware” Fitness Center sensors in The Solaire, a 300-unit luxury apartment building in downtown Manhattan, built and managed by the Albanese Organization, where BuildingLink’s custom-built network of sensors is monitoring the exercise facility’s equipment usage and ambient temperature. 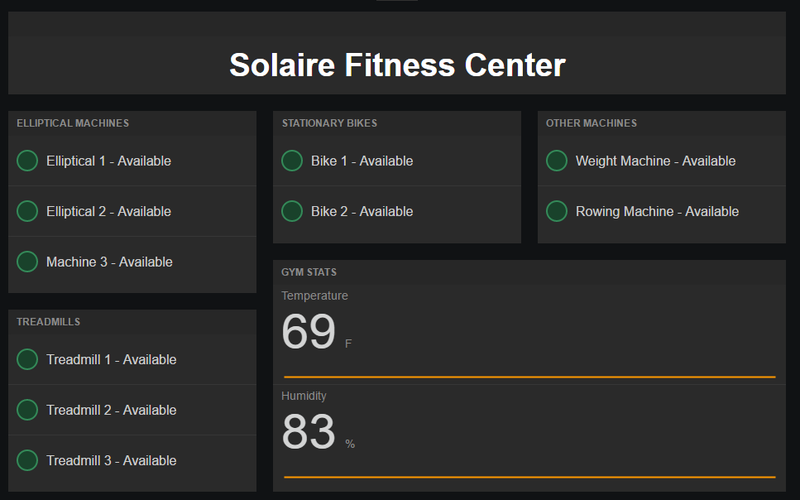 The Fitness Center solution is the first rollout in BuildingLink’s planned “Aware” line, the goal of which is to provide BuildingLink manager subscribers with actionable data that helps improve their operations. The sensor solutions made available via BuildingLink’s “Aware” line will put sensor-based analytics at their fingertips, helping them to make better operational decisions in the future in areas such as laundry rooms, elevators, and leaks. The BuildingLink.com platform currently powers operations in more than 3,400 luxury residential buildings across 34 states and 14 countries."